Five Texas Conferences come together annually in Austin for Legislative Event. It is co-sponsored by Texas Impact, a faith based advocacy group in Austin and the Social Action Coordinators of the Texas conferences. It is a time for presenting current issues, discussions with state representatives and a visit to the capitol building and legislators’ offices. 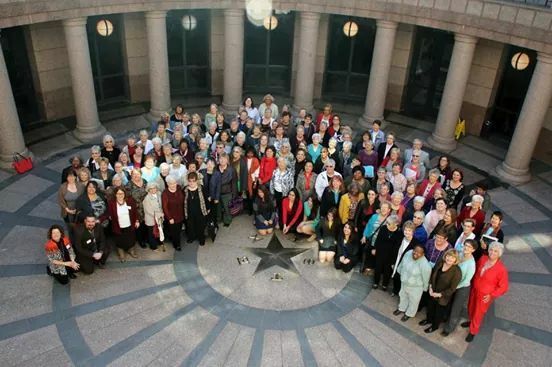 Texas Conference UMW at Texas Legislative Event in Austin, TX 2016. Photo of Texas Conference at the Legislative Event in Austin. 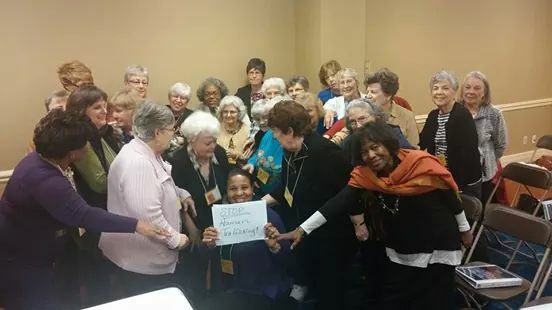 Photo of Texas Conference huddling against human trafficking. Please encourage all to watch the new Texas Legislative Event video.